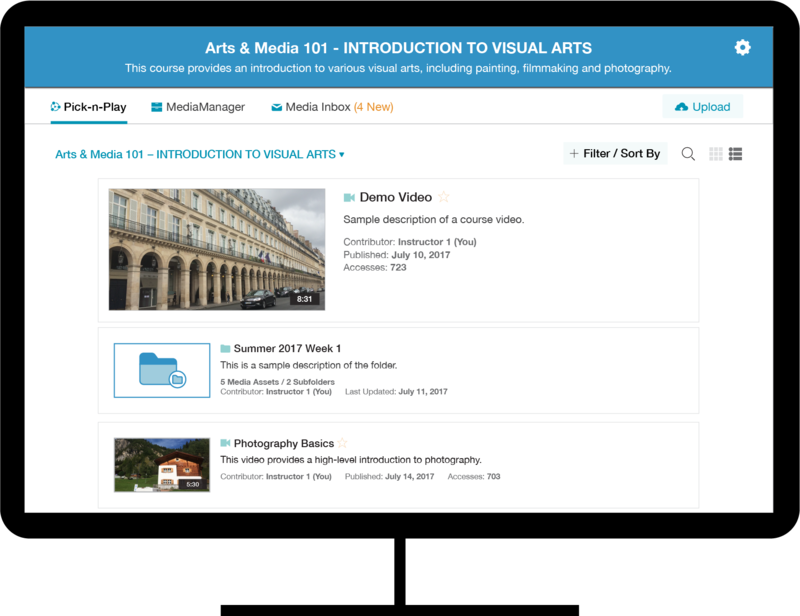 The Pick-n-Play Course Application is a state-of-the-art video-learning application for instructional and student-generated content that integrates seamlessly with Learning Management Systems (LMSs). 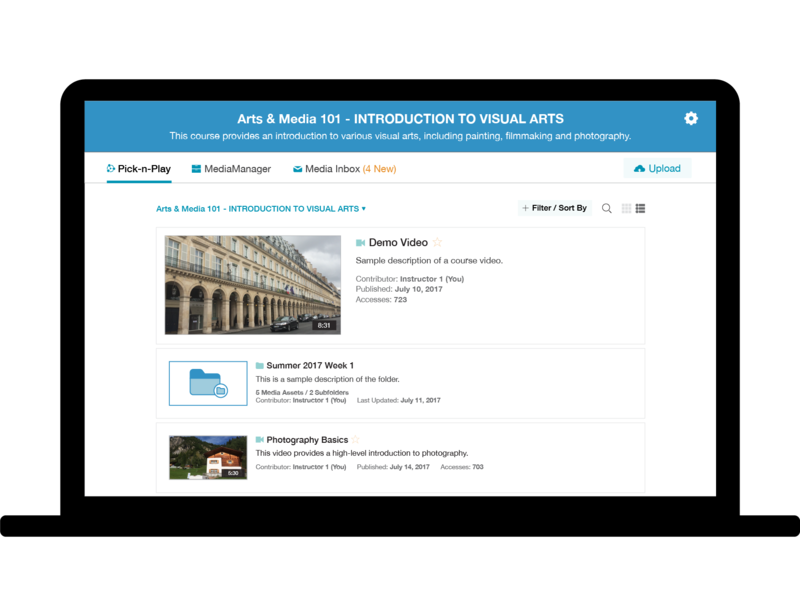 It provides instructors and students with an easy-to-use solution for uploading, tagging, playing, and collaborating on course media content. 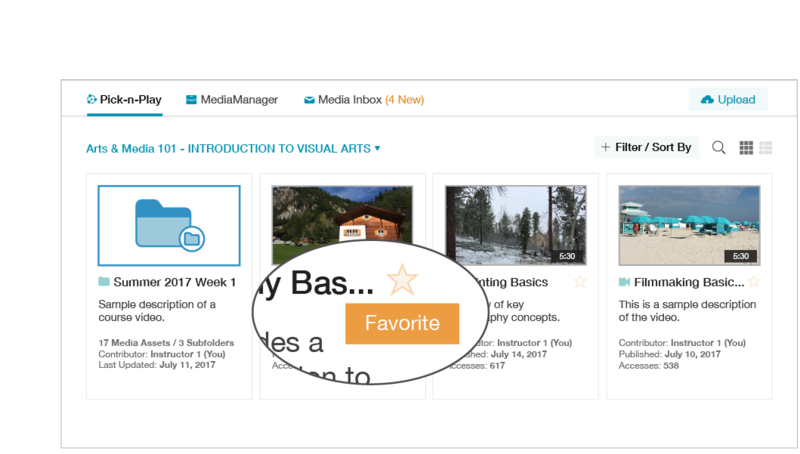 Pick-n-Play includes the ShareStream Next User Experience—ShareStream’s all-new UX and UI—which provides an enhanced look and feel, a simplified layout and intuitive navigation. 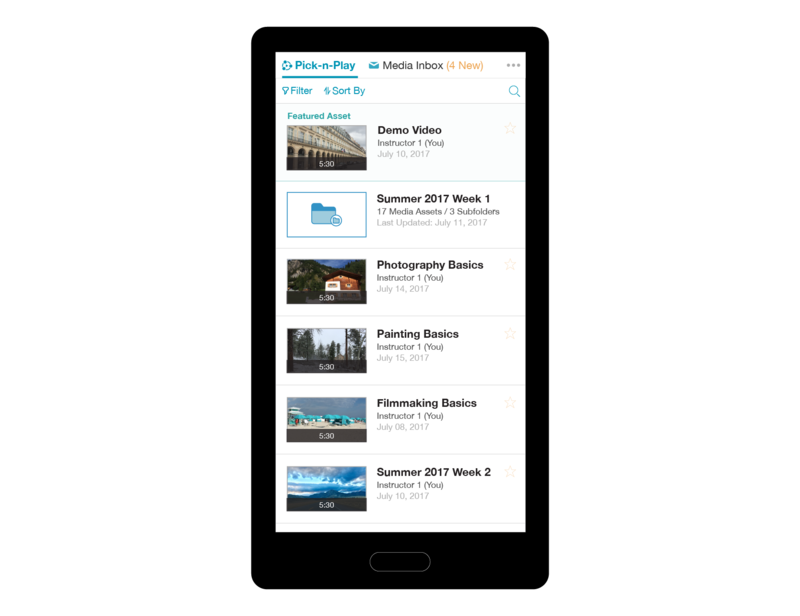 Pick-n-Play’s User Interface (UI) is fully responsive—the application dynamically displays the optimal layout of the Pick-n-Play UI depending on the size of a user’s screen, regardless of whether a user accesses Pick-n-Play from a PC, tablet or smartphone. 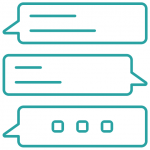 Key accessibility features include keyboard navigation; an accessible media player; closed captioning; and compatibility with assistive technology, such as screen readers. 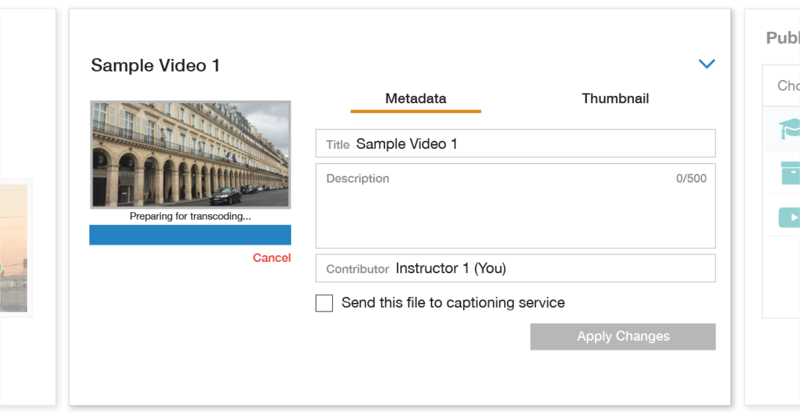 Key functionalities include ShareStream’s pioneering features for student-media submissions and ShareStream’s comments feature, which enables users to post comments at specific points in a video or audio asset’s timeline as well as engage in multilevel threaded conversations regarding media content in real time. 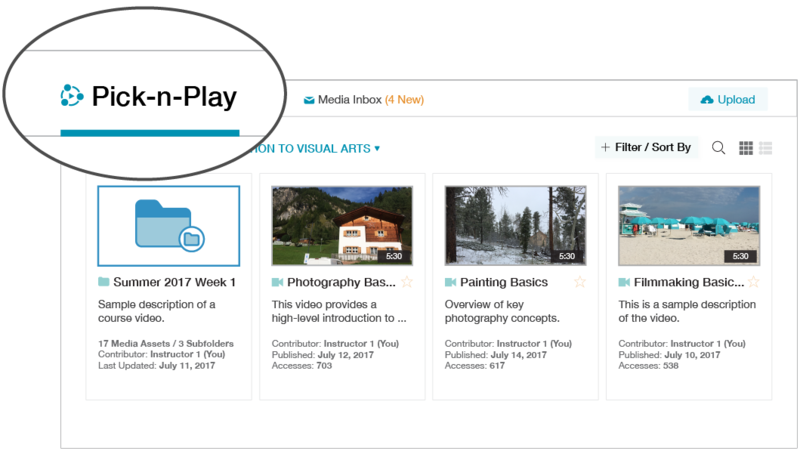 The Pick-n-Play Course Application—which serves as a hub for course media content — integrates seamlessly with all of the predominant LMSs. 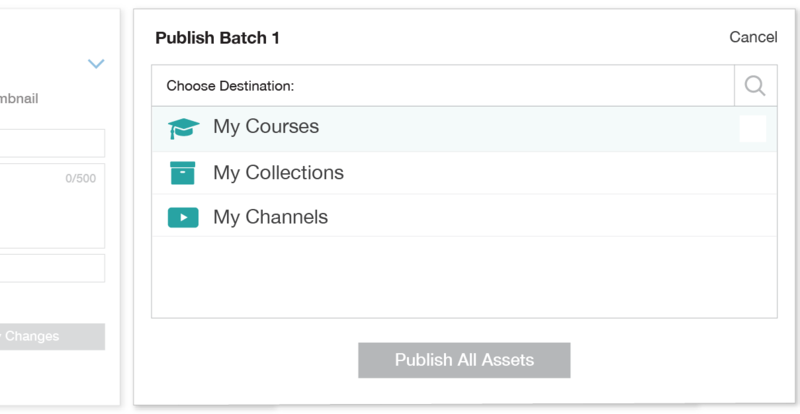 If an academic institution supports more than one LMS across campus, the application is also able to integrate with multiple LMSs from a single ShareStream environment. 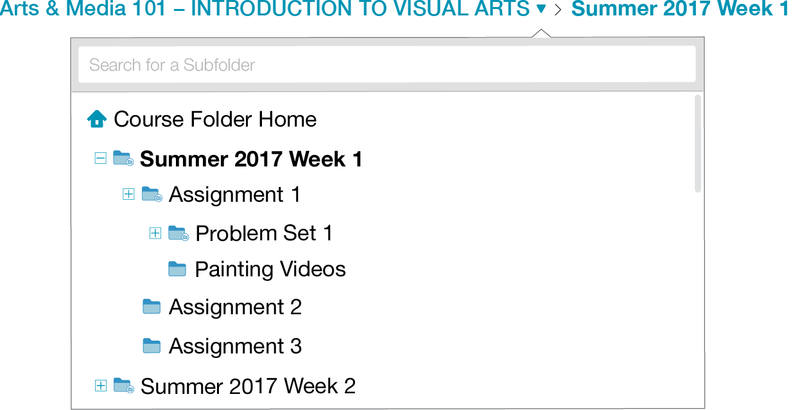 In addition to Pick-n-Play’s integrations with LMSs, the ShareStream Video Platform also integrates with LMS content editors, features for assignments and grading, and more. With Pick-n-Play, students are able to take a more active and participatory role in the learning process. 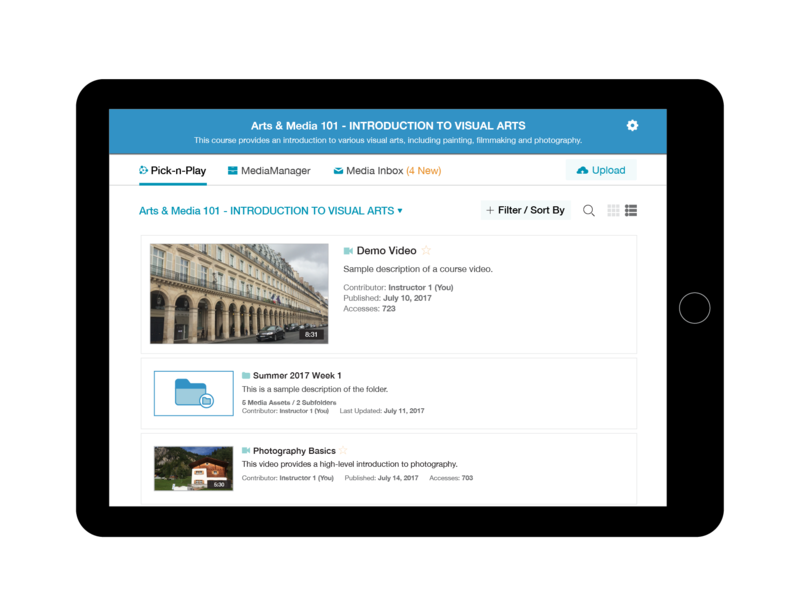 For example, learners are able to create media content from mobile devices using ShareStream Capture and submit video assignments to instructors for assessment. 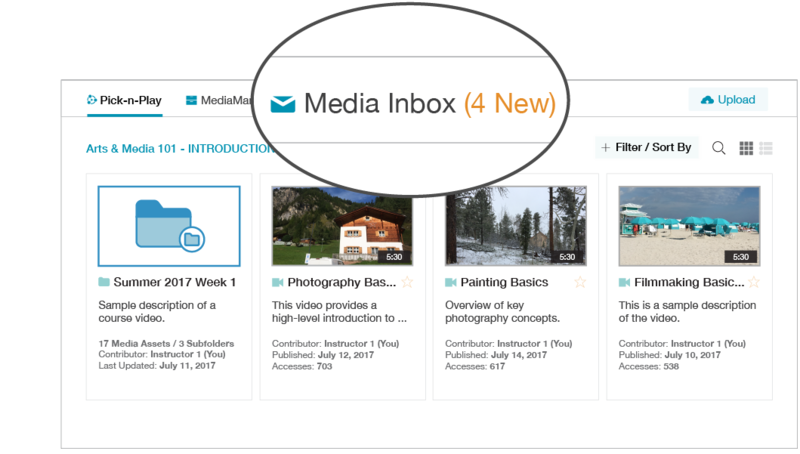 Instructors are able to review, assess and provide feedback to students on media submissions, as well as share student media submissions for collaboration among users enrolled in the course. Pick-n-Play enables educators to engage students with interactive video like never before. 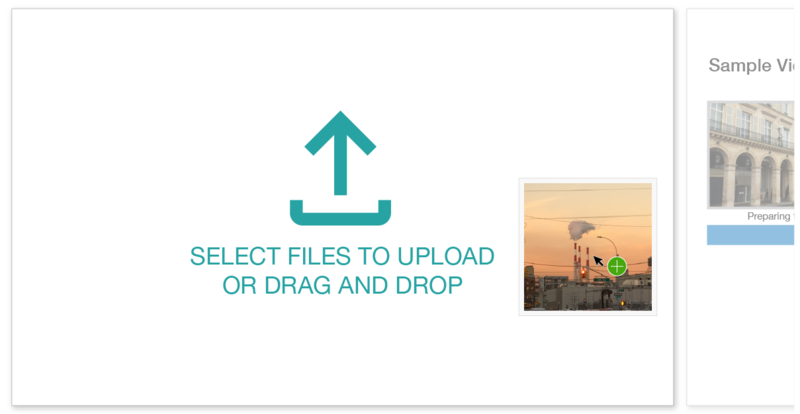 With ShareStream’s robust feature set for comments, users are able to post questions and comments at specific points in a media asset’s timeline, as well as participate in threaded, instructor-mediated discussions with fellow users enrolled in a course.